Sincere apologies to my fellow lovers of beer and food - it's been a while. In the last two months, there's been an influx of new beer-centric restaurants and pubs, not to mention an increase in patio patrons. 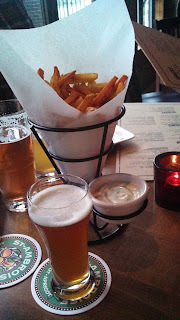 Last week I met up with some friends at Beer Revolution: Craft Beer and Pizza. This is a new addition to the Brewster's company, though less than 100m away from the original brew-pub in Oliver Square. The concept at Beer Revolution though, is quite different from the parent pub. Instead of going full brew-pub and brewing their own on-site, Beer Revolution offers a large portfolio of beers brewed not only by Brewsters, but by several local producers and renowned imported brews. Beers are available in 16 oz. 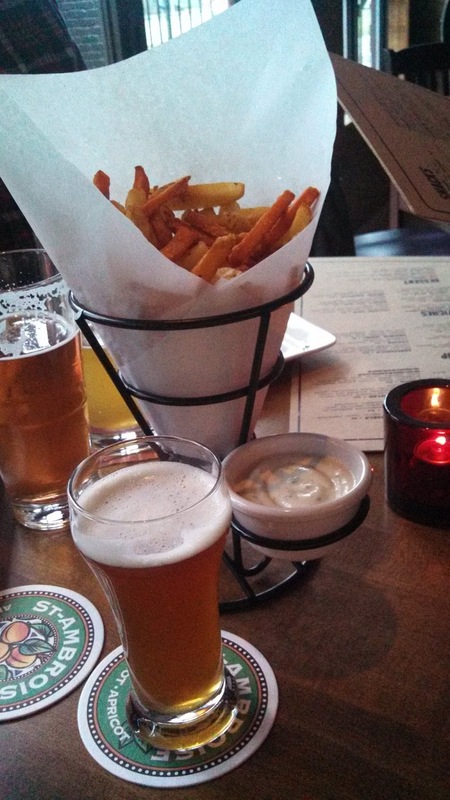 pints as well as 8oz. glasses for indecisive (or lightweight) folks like myself. Friday night is Cask night too, which means an original brew served from the cask in which it was conditioned. Last week's concoction was a smooth and citrusy Simcoe. Two of my table-mates had also hurried to order some of the 4 for 4 specials, offered only between 4 and 6pm. Four different varieties of beers, snacks, and wines are all priced at $4 a portion. 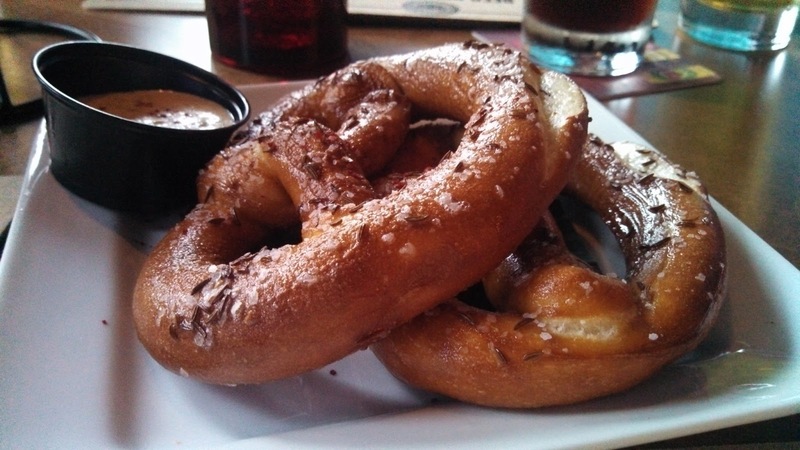 The snacks include the salty Bavarian pretzels, upscale truffle fries, and a pizza special. The regular pizzas are each 10" x 10" and cleverly named. 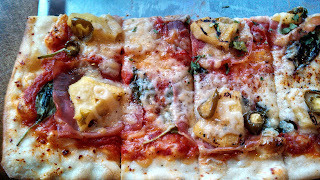 The "Everyday Normal Guy" is a straightforward salami, pepperoni and onion variety, while the Newton pushes boundaries with black mission figs and proscuitto. There's even a pizza named after the infamous competitive eater Furious Pete, with sweet onions and Italian sausage. 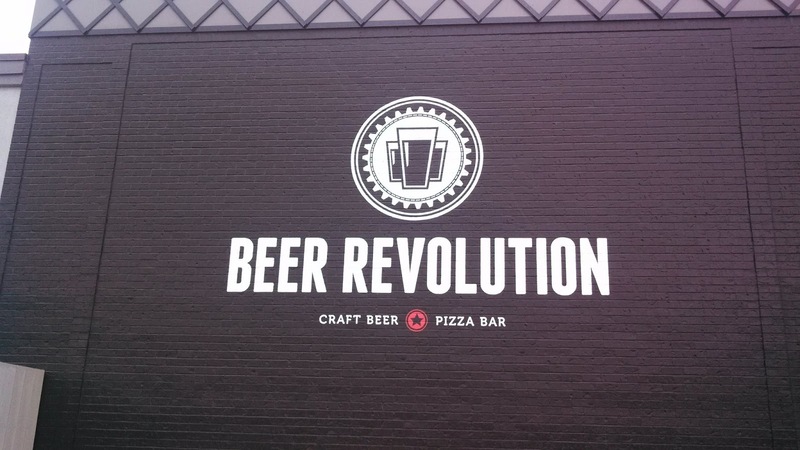 And although Beer Revolution lives up to their "Pizza Bar" classification - their menu is more varied than the name suggests. I plan to come back to sample the "House cranked links" - a variety of sausages made with pork, lamb, and wild boar. My favorite part of the Beer Revolution experience though, was the music. Beer Revolution is all rock n' roll, from Zeppelin to the Black Keys. No Minaj or Beiber to be heard. The pub also ecourages guests to tweet their requests to be added to the song rotation. Beer Revolution is another place that's trying the "Tap Takeover" strategy, beginning on June 6th with Howe Sound out of Squamish B.C. Twelve of the brewery's best ales and lagers will invade the taps. There are a few more beer destinations set to open this summer. 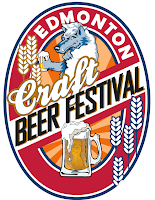 Keep your eyes open for the Craft Beer Market downtown off Rice Howard Way, a Calgary chain making its way North this summer. The sign veiling the construction promises more than 100 beer on tap. What's next in the world of craft beer? 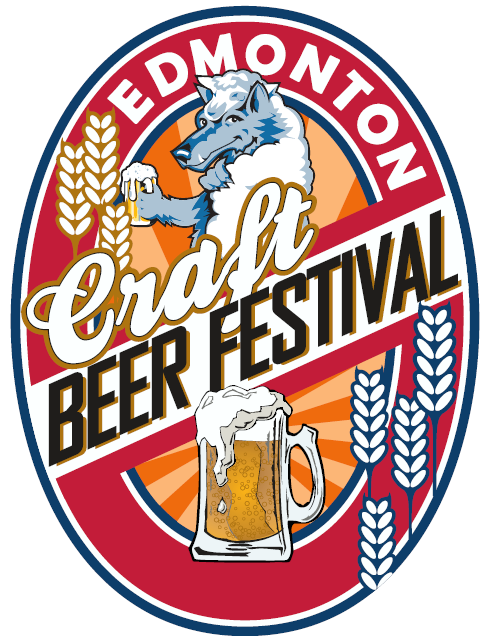 The Edmonton Craft Beer Festival on June 14th and 15th. I will be on a solemn mission to share my humble opinion of the event and crown my own personal favorite. See you there!